The PicPic Social app allows your guests to share photos directly to Twitter. 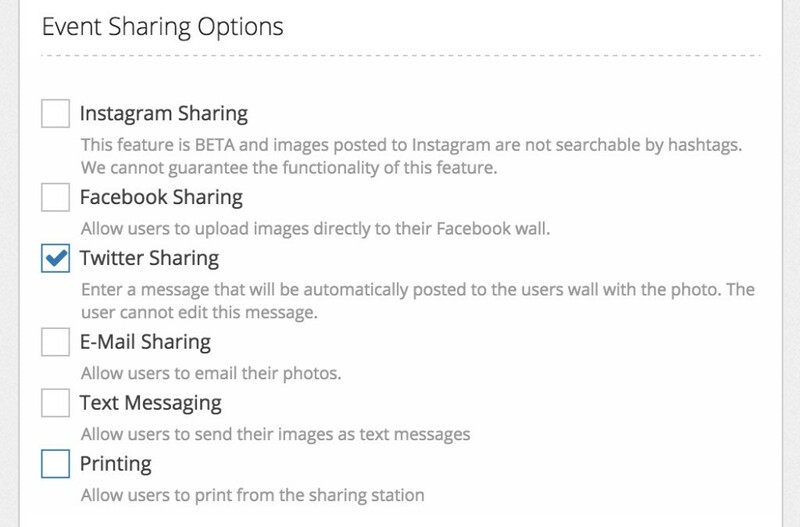 This guide will instruct you on how to enable Twitter sharing within your event settings. Wall Message - Enter a message that will be shared with each photo. You can include @mentions and #hashtags.